Ofisi ya Msajili wa NGOs inapenda kuujulisha umma kuwa imesimamisha shughuli za Shirika la COMMUNITY HEALTH EDUCATION SERVICES AND ADVOCACY (CHESA) kuanzia tarehe 20 Oktoba, 2017 ili kupisha uchunguzi unaofanywa dhidi ya tuhuma za shirika tajwa kujihusisha na uhamasishaji wa vitendo vya ndoa za jinsia moja katika maeneo mbalimbali nchini. >Rose Mlay is playing a big role in trying to help local Tanzanian women attain good health services during maternity. Mlay’s career as a midwife brought changes in the health sector in the country after she attended the first Global White Ribbon Alliance for Safe Motherhood workshop in India in 2002. 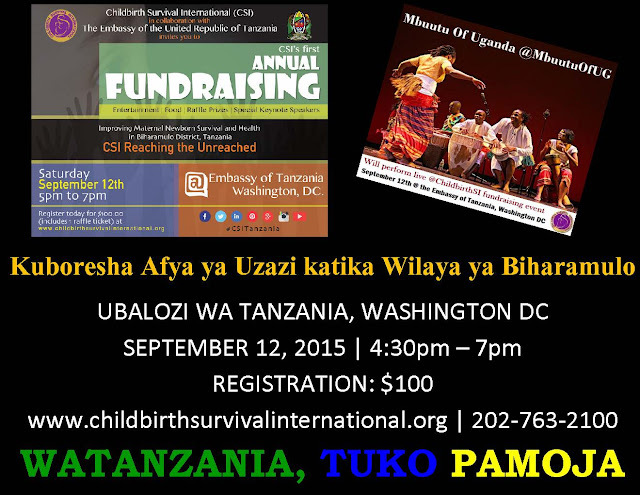 Come join the Embassy of Tanzania and Childbirth Survival International (CSI) for CSI’s first annual fundraising on September 12th at 4:30pm to 7pm, at the Embassy of Tanzania, Washington DC. 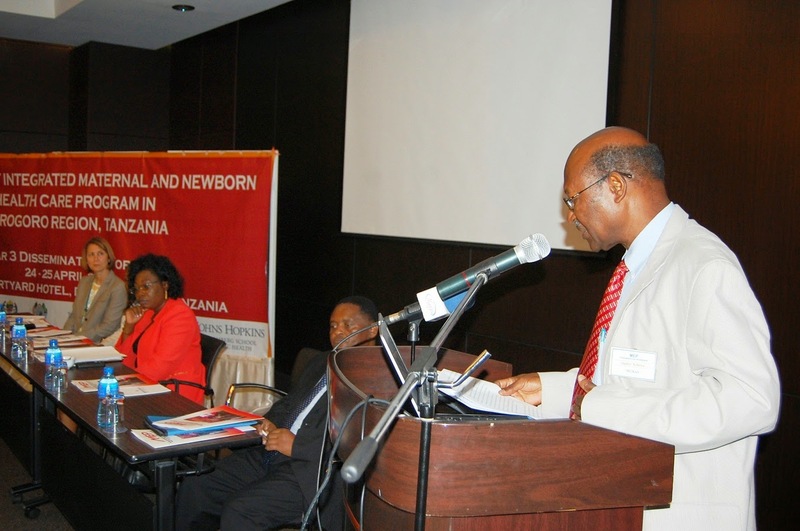 >Tanzania has scored low in a latest survey that assessed 58 low and middle income countries that desperately need nurses who specialise in maternal health, but it was a head of its East African partners - Kenya and Rwanda. Improved maternal health will not only boost the quality of life of mothers and their babies but also the welfare of the entire nation.